New New Zealand Poets in Performance. Edited by Jack Ross. Poems selected by Jack Ross and Jan Kemp. ISBN 978 1 86940 4093. Auckland: Auckland University Press, 2008. xiv + 146 pp. From Anne Kennedy to Andrew Johnston, Jenny Bornholdt to Glenn Colquhoun, NEW NEW ZEALAND POETS IN PERFORMANCE celebrates the rich jangle of clashing ideas, voices and genders that combine to make contemporary culture. It collects the work of 28 young and mid-career poets - who came to prominence in the 1980s, 1990s and early 2000s - notable for their variety, their fresh approaches to poetic form and subject, and their distinctive but complementary voices. This book is a follow-up and companion to the bestselling Classic New Zealand Poets in Performance and Contemporary New Zealand Poets in Performance. Editors Jack Ross and Jan Kemp have selected and presented on two CDs material largely from the Aotearoa New Zealand Poetry Sound Archive, completed in 2004. There are more than two hours of poets reading their own work and the accompanying book prints the texts of the poems as they have been read. Selected bibliographies and short biographies for each poet are also included, as well as an appendix of variant readings. New New Zealand Poets in Performance presents the work of 'poets determined to go their own way, wherever that may lead them', as Jack Ross writes in the preface. We're sure you'll enjoy the opportunity to savour their words and voices here. JACK R0SS is a writer and editor, based in Auckland. He has published three books of poems: City of Strange Brunettes (1998), Chantal's Book (2002) and To Terezín (2007); two novels: Nights with Giordano Bruno (2000) and The Imaginary Museum of Atlantis (2006); and two books of short fiction. His other books include (with Graeme Lay) the anthology Golden Weather: North Shore Writers Past and Present (2004), and (with Tina Shaw) Myth of the 21st Century: An Anthology of New Fiction (2006). In 2007 he guest-edited Landfall 214. JAN KEMP conceived and organised the collection of recordings in the New Zealand Poets in Performance series. She is director of both the Waiata (1974) and Aotearoa New Zealand (2004) Poetry Sound Archives. She was awarded an MNZM for services to literature in 2005. Dante's Heaven (Puriri Press, Auckland) was published In 2006. She now lives outside Frankfurt am Main. She is a member of PEN-Germany and the New Zealand Society of Authors and is presently preparing Voicetracks: Selected Poems, her ninth book. The third in the Poets in Performance series, this book collects the work of a new generation of poets - from Anne Kennedy to Glenn Colquhoun, Jenny Bornholdt to Robert Sullivan - who came to prominence in the 1980s, 1990s and early 2000s. These poets are notable for their variety, their distinctive voices and their fresh approaches to poetic form and subject. As in Classic and Contemporary New Zealand Poets in Performance, Ross and Kemp have selected and presented on two CDs material from the Aotearoa New Zealand Poetry Sound Archive, completed in 2004. There are more than two hours of poets reading their own work and the accompanying book prints the texts of the poems as they have been read. Selected bibliographies and short biographies for each poet and an appendix of variant readings are also included. 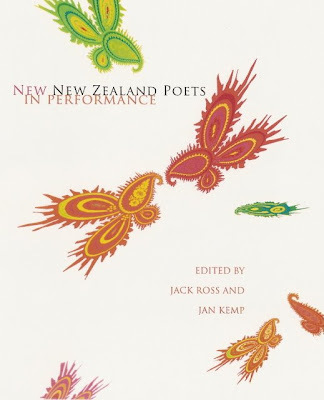 Jack Ross and Jan Kemp have edited a series, New Zealand Poets in Performance, each year now since 2006 - first classic poets, then contemporary poets. This month sees the launch of another, New New Zealand Poets in Performance (Auckland University Press, $44.99), heralding new voices in the poetry scene. What makes this series attractive is that each book comes with two CDs of the poets reading a selection of their work. Now you can stay home, with your cognac and your fire roaring (heat pump doesn't seem to have the same poetic cadence, does it? ), and listen to Allen Curnow reading The Skeleton of the Great Moa, or Denis Glover reading his quintessential Magpies. There's Baxter and Hunt in this series, C K Stead and O'Sullivan, to name a few good poets. In this latest collection, you can hear Glenn Colquhoun and Jenny Bornholdt. What better place to start sampling New Zealand Poetry? The book follows Classic New Zealand Poets in Performance and Contemporary New Zealand Poets in Performance and brings together 28 young to mid-career poets, including Anne Kennedy, Jenny Bornholdt, Glenn Colquhoun and Andrew Johnston, to celebrate “the rich jangle of clashing ideas, voices, genders that combine to make a living culture”, Dr Ross says in his introduction. This volume and CDs, along with the other two companions, will make a very useful, worthwhile addition to secondary and tertiary libraries as well as to the libraries of individual dedicated followers of lyrical fashion. A companion to classy, bestselling anthologies Classic New Zealand Poets in Performance and Contemporary New Zealand Poets in Performance, this new collection features 28 young and mid-career poets notable for variety, freshness, IQ and distinctiveness and presents material from the Aotearoa New Zealand Poetry Sound Archive (includes 2 CDs). The volume is attractively printed, with an easily used layout, all work is referenced and accompanied by biographical notes. Any reader of poetry will find this sequence of publications an essential reference, quite apart form a very satisfying access point to much that is best in New Zealand poets writing at their best. Without a doubt the monumental task Kemp and Ross set themselves must have grown to something more than they imagined possible. Now however, the results speak for themselves. We have a very valuable progress report on the state of poetry, for the delight of this country's poetry lovers, and the use of its students. as editors Kemp and Ross deserve the nation's thanks for a task completed well. sound of the topography of poetry in this country. 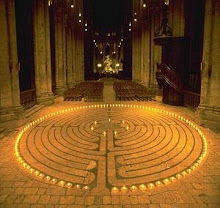 All of the poets included have quite impressive track records of publication in this country and overseas. They have won many awards, which are handily documented at the end of each poet's selection - which is very useful for students of our literature, both now and later. Crises have obviously occurred in these lives but the reader can only guess at the triggering circumstances. That does not necessarily mean that the reader is left bewildered, just aware. There's no doubt that hearing poetry read aloud is a much more physical, dynamic and dramatic experience that brings the rhythm, tone and rhyme of the medium to the fore. 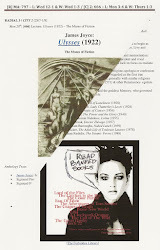 In this multi-media publication, which includes two CDs of poets in performance mostly taken from the Aotearoa New Zealand Poetry Sound Archive, established in 2004 by poet Jan Kemp, the reader has the best of both worlds. the third in a series of 'New Zealand Poets in performance', this features the voices of 28 of New Zealand's young to mid-career poets, including Kate Camp, Anne Kennedy, Gregory O'Brien and James Brown, whose quirky, irreverent poem about seeing Elvis "just walking across the quad in no particular hurry" is a gem. Two hours of poets reading their work, accompanied by the text of each poem, makes this a treat for poetry lovers. 164 pages of anthology again (third time) of the poets in performance, with two nice cd's to play with the actual poets reading their work. This time there are some South Island poets in there, including Richard Reeve who is making a big name for himself as an establishment poet. Also Jenny Powell-Chalmers writing about Dunedin (good on her) with 'Carnival of Chocolate'. Ideal for reading aloud, and she does read well. Even trivia like “Lunch Box' sounds good read. Nick Ascroft is in there too. New Zealand is bountifully supplied with bright new poets making their mark now. When you have nothing much to write about, you can make even the most mundane sound brilliantly exciting, as in 'The Badder & the Better'. I liked Anne Kennedy's poem: 'I was a feminist in the eighties', ending: “Then a lion came prowling out of the jungle / and ate the feminist all up”. David Howard writes competently and his work sounds good read out, quite entertaining in fact. James Brown is good…. entertaining stuff, especially 'Loneliness', about Elvis Presley. Unpretentious, funny, great. A full book of very competent practitioners of the poetic arts, and nice to listen to, too. As with the last two instalments, Jack Ross and Jan Kemp have chosen smartly from the 2004 Aotearoa New Zealand Poetry Archive, and there's so much to enjoy here: highlights include Robert Sullivan's remarkable 'Star Waka' poems; Anna Jackson's breathy delivery of razor sharp verse; John Pule, Tusiata Avia and James Brown. It's a useful chance to reassess certain poets too; Glenn Colquhoun, who I'd never particularly rated on the page since Playing God, comes across notably well both in the book and on CD. Both the book and the recordings come across as distinctly fresh and modern, and the editors have clearly achieved their goal; of creating a clear identity for each volume of the Poets in Performance trilogy. The combination of book and CD is effective as ever; iPod users can sift the audio around usefully while keeping the original discs safely nested inside the book itself, for this is going to be a book worth taking care of. New New Zealand Poets in Performance makes a solid end to Ross and Kemp's series, a smart package well-chosen from a huge range of material and likely to have enduring value as a poetic snapshot of the now. Highly recommended. Richard Reeve, "Review of Jack Ross and Jan Kemp (eds), Classic, Contemporary and New New Zealand Poets in Performance (Auckland: Auckland University Press, 2006-8)." 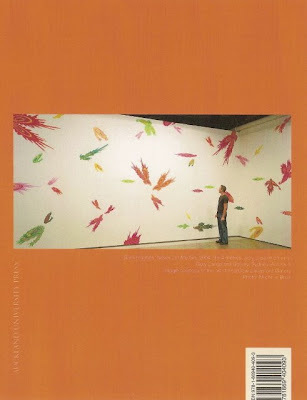 Poetry NZ 38 (2009): 101-6. As a unit, New Zealand Poets in Peformance does give a sense of the voice enshrined of different epochs and cultures and, importantly, the volumes illustrate continuity (as distinct from ‘progress’, which in poetry is no longer a permissible concept) in the passage from Brasch and Curnow to Olivia Macassey and Mark Pirie, with the artform surviving all critical prescriptions from all times, cheating attempts to pin it down. Hearing poets reading their work often changes one’s impression of the text. In several cases, what at first glance seem to be bad poems on the page are transformed by a poet’s voice into powerful, acutely realised poetic moments, while other poems that impress at first reading come across as flat and uninspired when delivered by the author. This exemplifies the enigma of what constitutes ‘voice’ in poetry: some well-loved, celebrated poets are dry performers of their work, yet few would say they don’t have a voice. To the editors’ lasting credit, their compilation presents many such faces of poetry, with surprises that warrant returning to again and again to savour. That, in the end, is the most anyone can ask for. ... Both [Sonja] Yelich and Richard Reeve are featured in the compendious collection of New New Zealand Poets in Performance. The debate continues in poetry circles as to the necessity and point of poets performing their own work, with some declaring that if the poem works properly on the page, i.e. if the poet's craft is up to the job, then performance is totally unnecessary. On the other hand, others believe that the poetic text is somewhat like a musical score waiting to be interpreted and performed by the poet, who is thus both "composer" and "instrumentalist". I tend towards the latter view, depending on the type of poetry. Certainly New New Zealand Poets in Performance is a delightful introduction to a wide diversity of new New Zealand poetic voices, and given the differences between received English pronunciation in the UK and kiwi English, it is extremely useful to have the poets' own voices interpreting their works on two CDs here. Twenty-eight young and mid-career poets are represented, so it is impossible to give many name checks; but listen to the cumulative humour of the first poem, "I was a Feminist in the eighties" by Anne Kennedy, and I swear you'll be hooked! I can remember seeing John Newton’s “Ferret Trap” (p. 13) for the first time in 1988, in Mark Williams’ Caxton Press Anthology: New Zealand Poetry 1972-1986. The poem gave me a sense of recognition and unease, the rural environment captured (“the chooks in the macrocarpas”) and twisted (“sheep’s heart jammed on a nail”). Twenty years later, hearing Newton’s South Island Gothic as I drive through the Devon countryside, I almost missed my turnoff as the sound took me back to my grandfather’s woolshed: the rusty rabbit traps, the nooses of bailing twine, the greasy creak of the gates. In his preface, Ross advises us to take these poems and “listen to them in the car” (p. xii), but I say no – the process is too distracting, too dangerous. This series has done an immense amount of good in preserving and disseminating the voices of our writers. The value of hearing poets read cannot be underestimated. From the clipped, almost British tones of Allen Curnow in volume one, to the ‘Mad Kiwi Ranter’ persona of David Eggleton in volume two, each of the recordings reflect and illuminate an aspect of our history. Ross stated that poets to come would have their own “virtual reality webcasts” (p. ix), and implied that this series would come to an end with volume three. I fervently hope that this is not the case, and that both the Poetry Sound Archive and its publications will continue. 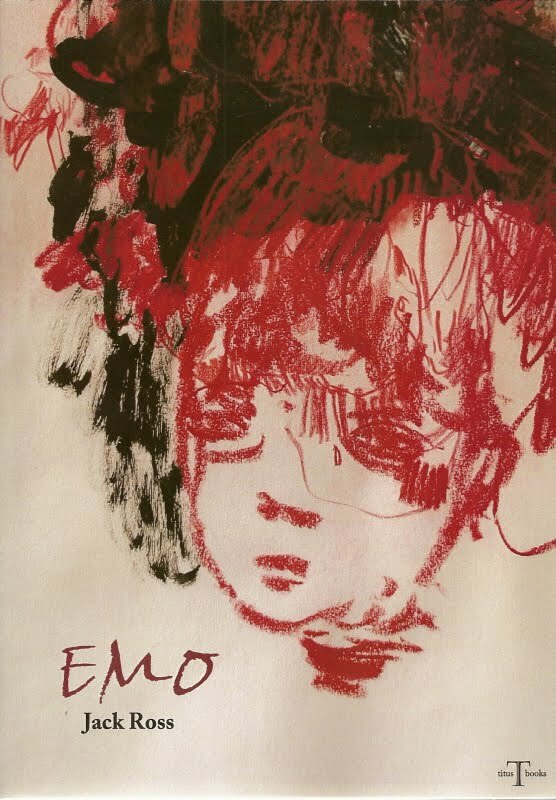 As a follow-up to the impressive efforts of Jan Kemp, Jonathan Lamb and Alan Smythe to record as many major New Zealand poets as possible (1974), Kemp and Smythe decided to establish a more expansive archive of spoken poetry (2002). The final result, the Aotearoa New Zealand Poetry Sound Archive, is in the Special Collections at the University of Auckland and includes 171 poets. This comprehensive project allowed poets twenty minutes each and CD space for complementary material such as bibliographies and images. With a copy of the archive now deposited at the Alexander Turnbull Library, the significance of listening to poetry is made more tangible with access to the reading or performance of a considerable number of New Zealand poets now available. 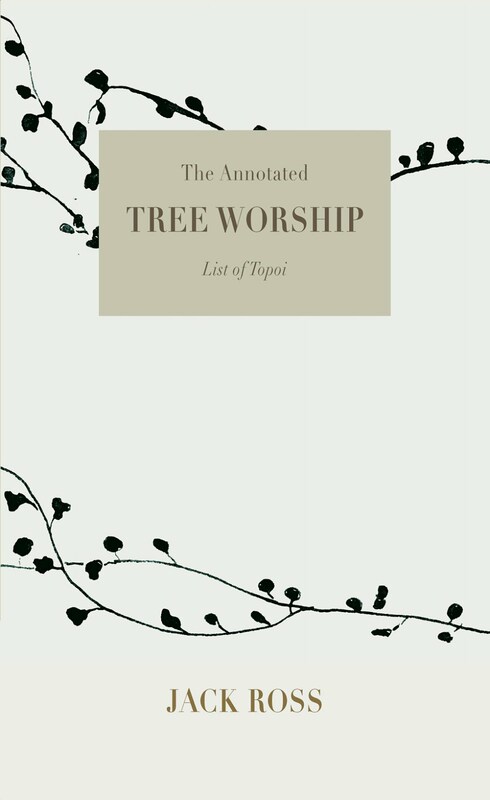 One offshoot of the archival project is a series of anthologies published by Auckland University Press that allow a poetry audience to both read and hear poems by key New Zealand poets. 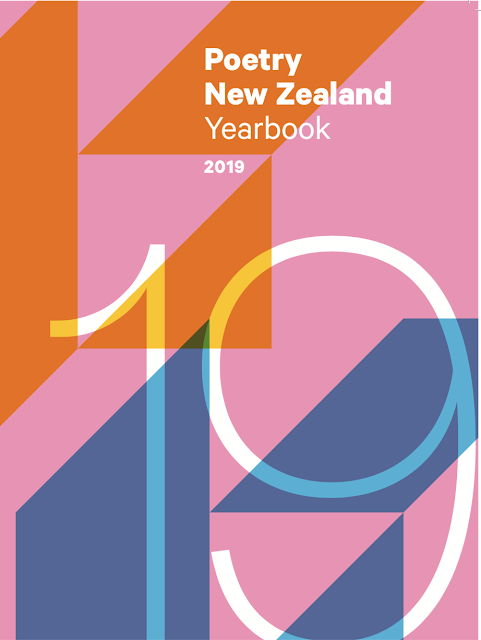 Edited by Kemp and Jack Ross, the anthologies are grouped in chronological clusters: Classic New Zealand Poets in Performance, Contemporary New Zealand Poets in Performance and New New Zealand Poets in Performance. One can hear the shift in the reading styles over generations, from the earlier tones of poets such as A R D Fairburn, R A K Mason, Charles Brasch and Allen Curnow (lofty, polite and rhapsodic) to the more conversational qualities (mellifluous, lyrical or downbeat) of contemporary poets as diverse as David Howard, Andrew Johnston, Mark Pirie, Sonja Yelich and Kate Camp. [Paula Green, 'Performing the Poem', pp.267-68]. I've greatly enjoyed the previous two books in this series, Classic New Zealand Poets in Performance and Contemporary New Zealand Poets in Performance. Each book in the series features two CDs of the poets reading their works. This means that you can, as I did, listen to the poems whilst you're driving around and then check out the printed poems in the book. Each book is attractively designed with an excellent cover - the cover of wild, fractal paisley designs from Sarah Hughes' Never Let Me Go shows the very good visual taste of the editors which has run through the series. I don't particular suffer from selection anxiety, so I'm looking for a good anthology with some enjoyable poems, rather than a clever introduction, and this selection from poets such as Jack Ross, James Brown, Kapka Kassabova, Mark Pirie, Olivia Macassey and Richard Reeve, delivers. The "New New Zealand poets" are the new already greying kids on the block and includes anyone who is 'young or mid-career' and born after 1959.